We’re moving! 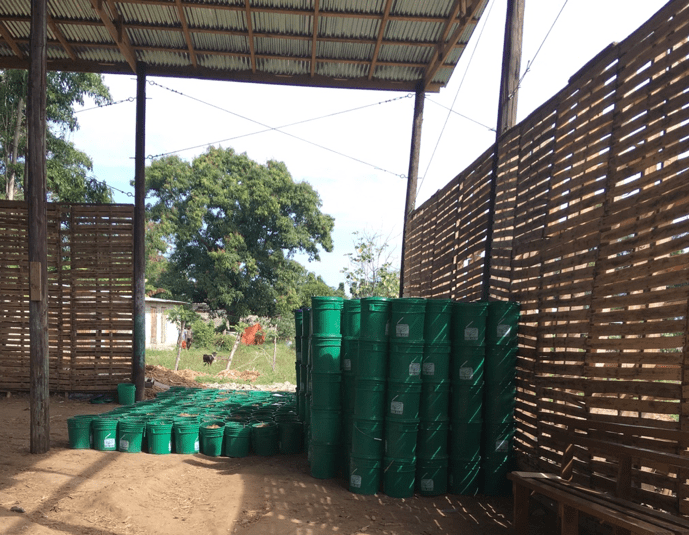 Since 2013, SOIL’s Cap-Haïtien team has operated out of an office we built from the ground up on a beautiful piece of land just down the road from our composting waste treatment facilities. Over the past six years, this space has served as a wonderful home for SOIL’s work as we have implemented and refined our ecological sanitation service EkoLakay. Now, as we embark on a journey to expand the reach of EkoLakay, SOIL came to realize that it was time to say goodbye to our office in Limonade. Why? We determined that moving offices would allow us to improve efficiency, reduce operating costs, and help ensure we have the best infrastructure and systems in place for when our office is overseeing the provision of sanitation services for a rapidly growing number of families. Bit by bit, different parts of our teams in Cap-Haïtien have transitioned out of our old office and into new locations. First, our composting team expanded infrastructure at our waste treatment facility in Mouchinette so that those responsible for managing the safe transformation of waste to compost could be fully based out of an office on the site. 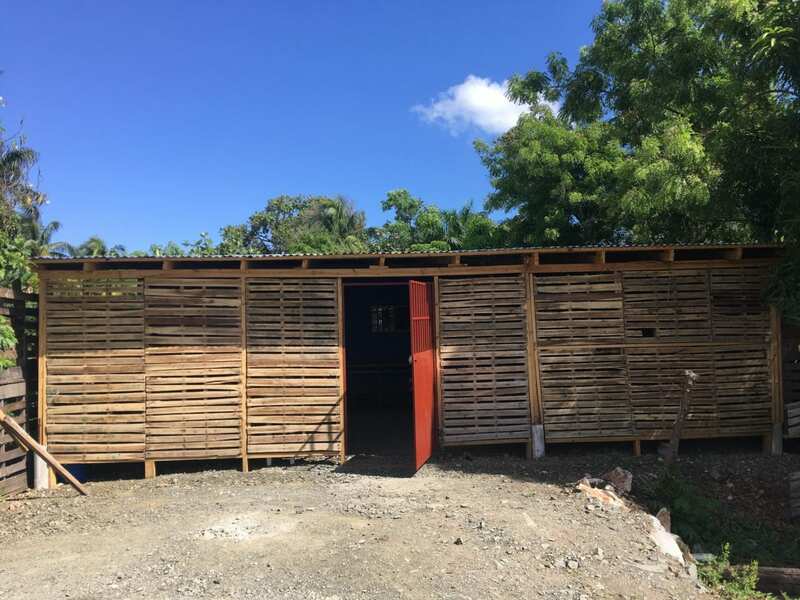 Last summer, we also broke ground on a new depot in a quiet neighborhood of Cap-Haïtien, Ti Lary, which became the home of EkoLakay’s field teams and management. That left SOIL’s Regional Director, Romel Toussaint, and our Finance and Administration department still working out of our old office in the interim. Ti Lary has become the heart of EkoLakay’s operations. Check out these beautiful containers of bonzodè! 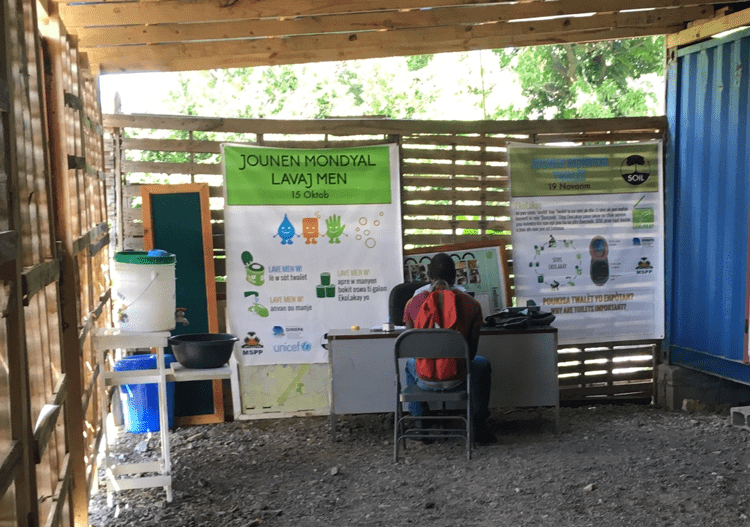 After thoughtful consideration and a short search of the properties available in Cap-Haïtien, we quickly realized that the best solution for SOIL’s needs was actually right in front of us at Ti Lary! Since then, we have been hard at work building a space on the land in Ti Lary that could become a hub for all of SOIL’s needs outside of the composting site. Though the construction process was put on hold for part of February due to ongoing protests, we were able to finish building the new offices at the end of March. Just last week, SOIL’s Finance and Administration department officially moved in. Now that we have been able to consolidate EkoLakay with Finance and Administration, SOIL can save time and resources by reducing the need to move between two offices and the Administrative team can better provide swift support to EkoLakay. EkoLakay and SOIL’s administration are also able to share utility expenses, which is just one of the ways that this transition is setting SOIL up to save money in the long run. Finally, we are thrilled to have SOIL’s Regional Director back in closer proximity to the EkoLakay teams as they continue the operational transformation program our teams undertook last October. Desks have been moved over and piece by piece we are turning our new space into SOIL’s new home. Here’s the entrance! Though we are just one week in our new office consolidation, we are already discovering new ways that this move will streamline administration and field work. In the weeks to come, we will work on revising finance systems and administrative roles to optimize efficiency across our teams and finalize a few more pieces of the construction project. Next up? Finishing the toilet building station and installing solar panels so that SOIL can be powered by nature as we work to restore it. Check back in the coming months for more exciting updates from our teams as we continue to prepare our systems for a successful EkoLakay expansion. Until then, join SOIL’s teams in a little celebration as we settle into our new Cap-Haïtien home! No Replies to "All Under One Roof"